On my boss’s last day in Melbourne we decided to go out for lunch. The area I work in has a great but unfortunately narrow selection of places to eat, so we decided on one of the two local pubs, The Excelsior. It’s your average suburban bistro style interior, nothing overly flash or even particularly inviting. 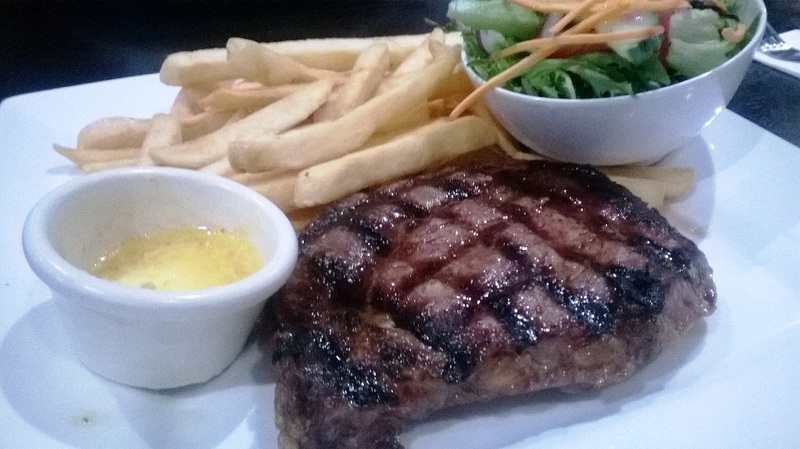 My boss was the only other person to order a steak as well; he went for the Rib Eye, also medium rare, which was potentially the same meal I had a while ago at the Meadow Inn. Around 25 minutes later the food was up. The plate looked ok but the aroma had me worried. It was grilled with heavy char marks but clearly over gas due to the absence of peat. 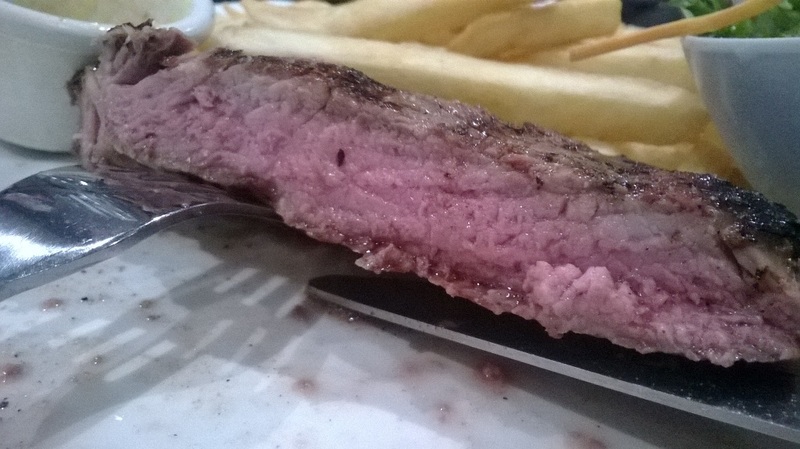 The texture grainy and too lean for a scotch fillet, and coupled with the steak being cooked past medium did not do the meal any favours. 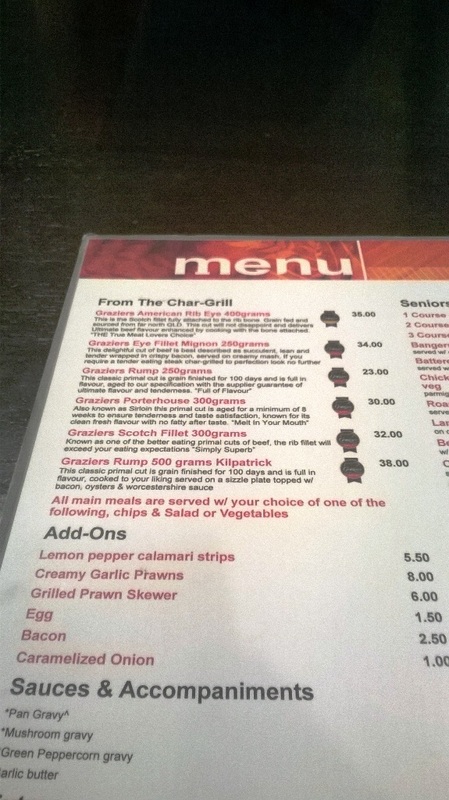 The Garlic butter was good but the inherent lack of seasoning undid all its good work. In summary the Beef did not standout at all and I felt as though I was eating a charred cardboard like substance. 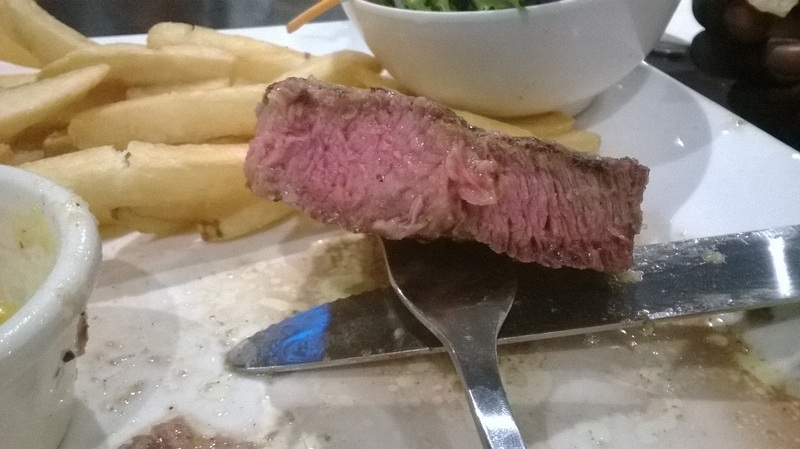 Posted on March 1, 2014 October 13, 2015 by AdrielPosted in Melbourne, MISteaksTagged Melbourne, Scotch Fillet, Steaks. Hi there, Big fan of your blog.